With a magnetic base, the C2C (Mini O / Mini O 1080p) is designed for simple and quick installation. 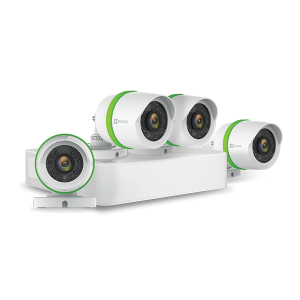 The C2C (Mini O / Mini O 1080p) comes with a magnetic base and mounting kit that makes it easy to place on walls or ceilings. Once set up, you can manually adjust it to cover just about any angle you need. Backed up by HD 720p/1080p video and ultra wide-angle lens, the C2C (Mini O / Mini O 1080p) covers a wider range of space so you can keep an eye on what's valuable to you. When it’s dark, the C2C (Mini O / Mini O 1080p) automatically switches into night vision mode for around-the-clock HD video coverage. The lens is ringed with infrared LED lights, allowing for night vision up to 7.5 meters. The lens is circled by IR LEDs for clear video even when it's dark. When you’re away from home and want to speak to loved ones or pets, there's two-way talk. Just press the button on the EZVIZ app and the C2C (Mini O / Mini O 1080p) will help you do the rest. With EZVIZ app or EZVIZ Studio, you can protect, capture, save and share what's valuable to you. Mini O (v2) is rated 4.5 out of 5 by 454. 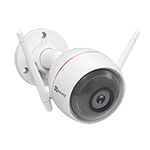 Rated 5 out of 5 by Chantill0308 from Great HD Security Camera I am very happy I have this HD Indoor Wi-Fi Camera to use in my house for security reasons. My favorite feature of this camera is that it has a wide view to scan the front of my living room and front door. The compact size of the camera is ideal. The 1080p camera has an exceptional screen resolution and live feed that is crystal clear. You can angle the camera with the twistable base to any desired position. I like the fact that is has a 2 way talk feature. The app for the camera you download is simple and easy to use. The camera comes with a 16G SD card, a metal plate so you can mount it from anywhere, an extra long cord and a plug-in adaptor. 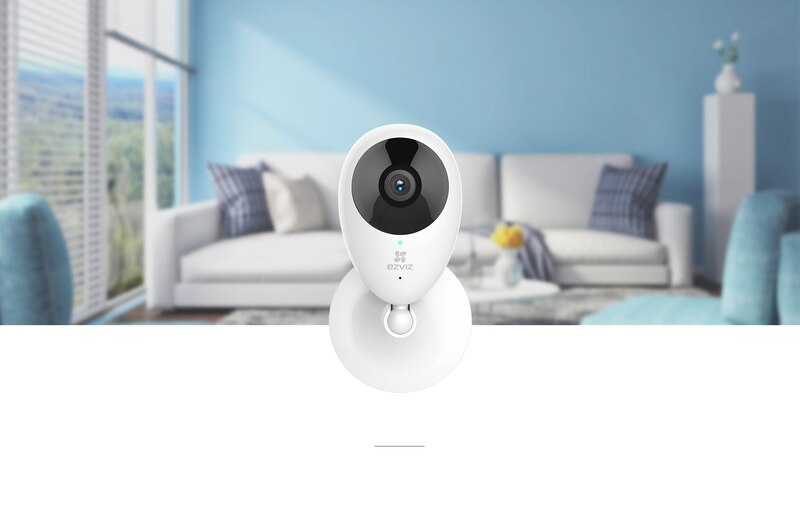 Rated 5 out of 5 by Jack Chu from Great mini indoor camera with decent night view This is a decent indoor IP camera which offers smartphone APP integration and 2 way voice communication. The recording quality is 720P and it has built-in night view IR filter (automatically switch by sensing the light condition). The video quality in both day and night time are pretty good with not much input lag. The setup process is pretty straight forward and I setup the IP camera in less than 5 minutes following the instruction in APP. It can record directly onto the smartphone storage as well as onto a memory card inserted into the unit. It also has IFTTT and Alexa support. 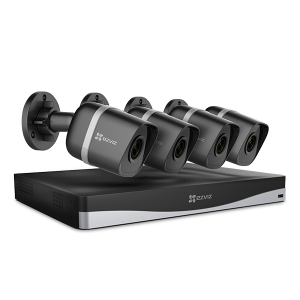 Rated 4 out of 5 by Sherpa from Compact, reliable indoor camera! I've been an owner of 4 of the original Ezviz minis for a few years and was excited to get to test the Mini O. Setup was a snap and I had the camera up and running in less than 5 minutes. Be aware that you may need to remove the case from your phone if you are using Near Field Communication to set up your network (my Otterbox case inhibited the setup on my old phone). Picture quality is comparable to the original mini (720P) and I found all the controls worked well for video playback, still captures, etc. I did not get to test the two way talk option. All in all I was please with the Mini O. If you need two way comms with a video feed for short money, this is right setup for you. Rated 5 out of 5 by Rhales15 from Great Features I recieved this item to give my truthful oppinon about features and quality. First it is well made and very easy to set up for use. The Mini o 1080p has great audio and clear views of entire room. The audio is so great you can hear when someone comes up on my porch well before they knock. Storage is above great as I received a 16gb sd card as well. The user friendly use of this camera is spectacular. Can't say enough great things about this. I will be purchasing other units for my home. I truly would recommend this Mini o 1080p camera to everyone in the market to secure there home with live footage. Rated 5 out of 5 by KK1993 from Excellent features! I have never owned a security camera before, but I'm so happy I got this one...I absolutely love it! The Mini 0 Plus is easy to set up, I had it recording and coming up on my phone within twenty minutes of getting it out of the box. I was very impressed by the quality of the picture, and I really like the motion detection feature. The best feature to me is you can easily look and see whats going on at your home or where ever you put the camera from anywhere you are. The night vision works great much clearer than I expected. I would defiantly recommend this product. I received this item free to try and review for my honest and truthful opinion. Rated 4 out of 5 by inuyasha1999 from Nice wifi camera This is a nice little wifi camera. 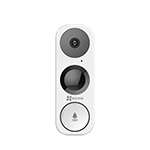 It's similar to the EZVIZ Mini, but has 2-way talk, where you can talk to someone in the room where the camera is setup and they can talk back to you, and it comes with a 16GB microSD memory card. It also has a pretty long USB cable. My guess is it's approximately 10 feet in length. The base is magnetic, so it will stick to most flat metal surfaces. If you don't have a metal surface to mount to, don't worry. It comes with a metal plate that can be mounted to any surface using double-sided foam tape (2 round ones included), or screws if you prefer (not included). Setup did have a couple of hiccups while trying to setup the camera on my network. I followed the directions in the manual to push the settings to the camera, but something wasn't communicating correctly going the normal way, even after rebooting my router, and the camera a few times. However, within the app, there is an option to have the app generate a QR code based on your router's info (SSID and passphrase). You then hold your phone up in front of the camera so that it can read it, and pull the configuration. This method worked for me, and I was able to connect the camera to my network. The video quality could be better, but is still . It does get a bit washed out when used in bright conditions. For example, my dad replaced the fluorescent lights in the kitchen (4 tubes), but bought some pretty bright white bulbs instead of the soft white like what was in there, so it was much brighter. In normal lighting, the quality is nice. The microphone is pretty sensitive. I tested it from my phone within the same room, and had to get around 10 feet away before the feedback would stop. Sound quality was pretty good once I was out of feedback range. Overall, this is a nice wifi camera. Even at 720p, the clarity is nice unless the brightness is overwhelmingly bright (as mentioned above). I would recommend this camera to anyone who's looking for a good camera to monitor a room at a decent price. Rated 5 out of 5 by Stephy1518 from Love the features and how easy it is to use. 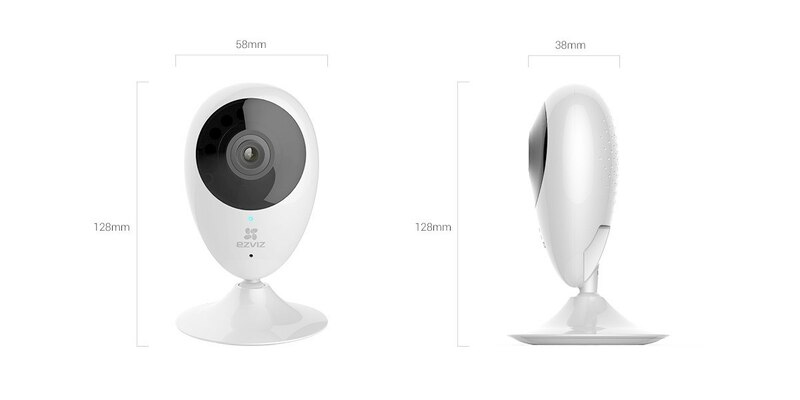 I love how easy it is to use this Ezviz mini O 720P HD Wi-Fi home security camera. All it takes is downloading an app to your smartphone and set up an account. I love how easy I can just get on and check on my kids while I'm at work or on the go, no matter where I am. Love how the app alerts you whenever the camera detects motion. It also comes with a built in speaker system so you can actually talk through it. I also love that it has night vision included in with it. If you don't have this indoor camera already I highly recommend you do or you are really missing out. This is what every parent or pet owner needs whenever it comes to checking on them. Rated 5 out of 5 by ispyc6 from Excellent Price, included SD card. Easy to use. Excellent camera for the price. Magnet base is a nice feature for mounting. Single USB cord for power and set up was a snap. Just downloaded the app, scanned the QR label on the back of the camera and enter in your WiFi settings and that"s it. Took less then 3 min. Picture quality is great. Love the two way audio. 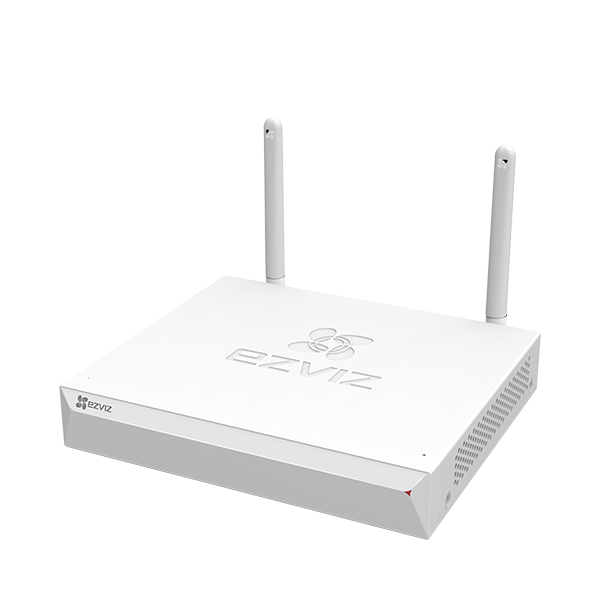 Only downside is it only supports 2.4Ghz not 5Ghz wifi. Which in my case did not matter because my router does both. But for the price point you can't have everything. Still works flawless on 2.4ghz. Remote access on Android is a snap with the app. All in all its a great camera. I would definitely recommend this camera. Hi. How do you turn the bleep off the camera? Im currently using a C2C O, but I cant watch what is recorded on the SD card with MPC Home, VLC or QuickTime. What should I use to watch the recorded files on the card? I installed the Mini O camera, then tried to add a new mini O plus to it, is it possile? I have the same issue. I wonder if the Support team could help us. Good day! I can't connect my Mini O security cam to our wifi network. It display this message everytime I try to connect it, &quot;Unable to configure due to current 5G wifi. Please switch wifi.&quot; Please advise on what to do. Thanks! Can this camera be used worldwide with the Ezviz app . Whiach countries does the US version support? Why doesn't mine connect to wifi? Could it be defective?